What is paganism? In this penetrating and tightly argued manifesto, French philosopher Alain de Benoist seeks to answer this question with passionate intellectual vigor and a tremendous erudition. Arising out of the “monotheism vs. polytheism” debate that reverberated through Parisian intellectual circles in the late 1970s, this is neither a survey of ancient, pre-Christian religions, nor is it an argument on behalf of any modern neo-pagan sect. 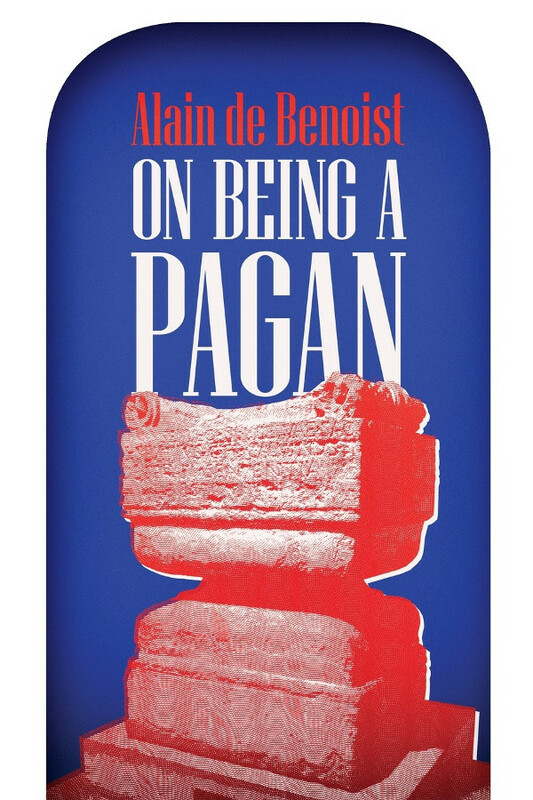 On Being a Pagan draws on Nietzsche, Heidegger, ancient philosophy and mythology, and biblical hermeneutics to articulate a pagan theology based on a common Indo-European foundation. In keeping with the critical tradition which hearkens back to the Greek philosopher Celsus, Benoist contrasts the heroic pagan worldview with Christianity’s attempts to hobble everything that is beautiful and strong. He compares the cyclical pagan conception of time to the de-mythologizing, linear understanding of history favored by the prophets. Most disturbingly, he traces the roots of modern totalitarianism and intolerance–of both the left and the right–to the leveling ideology of ancient Judeo-Christian monotheism, with its underlying rejection of diversity and différence. Originally published to wide critical acclaim in 1981, Benoist’s text is as relevant today as it was when it first appeared–and perhaps even more so for the English-speaking world. This newly revised translation now features an extensive interview with the author, and includes his reflections (both positive and negative) on the various groups and individuals that have attempted to resurrect the pagan spirit. Rather than simply dissecting the 2,000-year Christian interregnum, Benoist’s greater purpose is to point the way forward to a world that could have been, and which may only now be in the first stages of being reborn.